Men from the North Delta Baptist Association (Mississippi) spent the week with us here in Lakeshore. 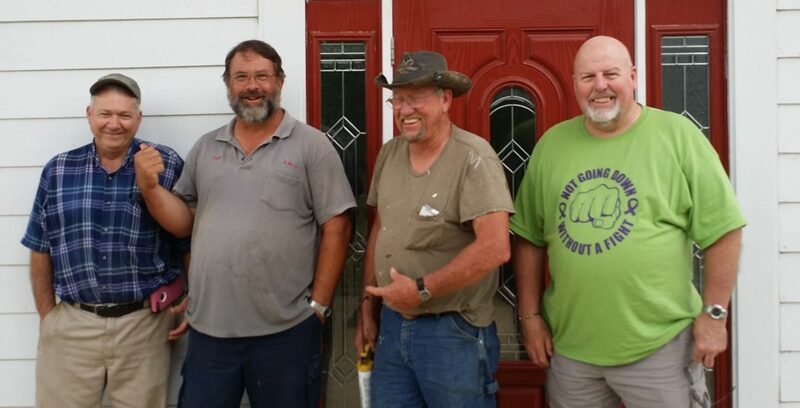 We enjoyed a great time of fellowship while getting a long list of tasks accomplished around the church property. Among other things they hung some large wall sized mirrors in the baptistery changing rooms and constructed some very helpful shelving in our workshop. My good friend Mike Boren, who serves with me on the Mississippi Baptist Convention Board, led the team. These men have been with us here in Lakeshore before and often do mission trips, especially around the state, whenever needed. Its great to be a Mississippi Baptist!